A dinner party with the Ladies! Come join us and 'Get Your Hopes UP" Friday night, May 10th at 6:30 pm at Word of Life Fellowship. Registration cost is $15. 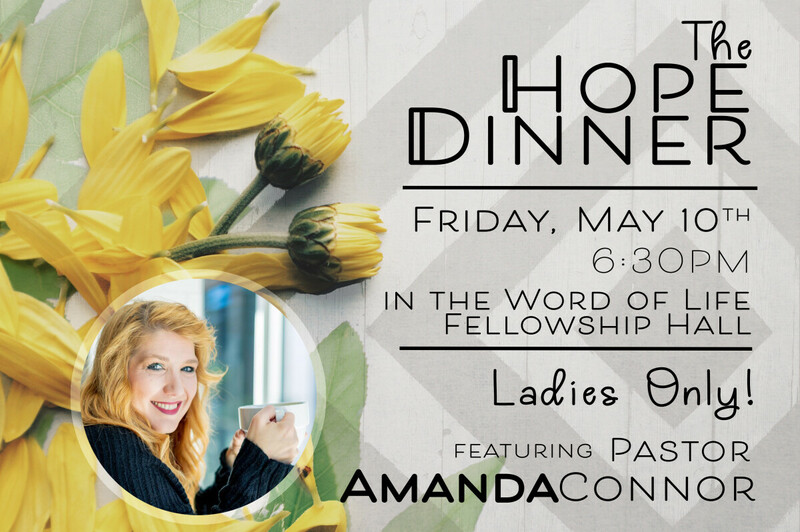 Evening will include dinner, dessert, fun time with friends sharing hope, and a guest speaker Pastor Amanda Conner from Oklahoma City, OK.
We are also excited to be honoring local women First Responders from our Community. We are excited for this event and look forward to seeing you there!